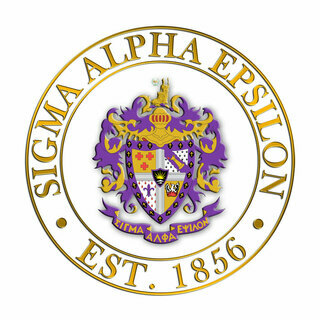 Sigma Alpha Epsilon is a fraternity the was founded at the University of Alabama in 1856 by several ambitious students. 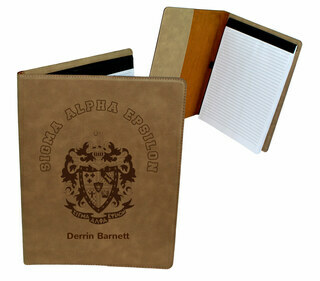 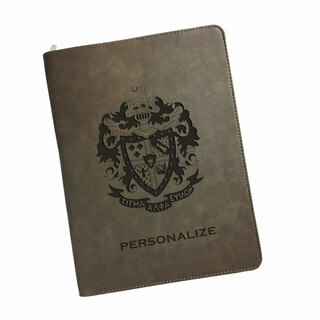 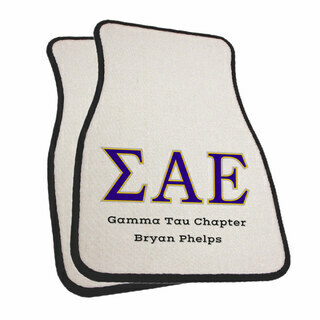 The mission of the fraternity is to promote friendship, scholarship and service. 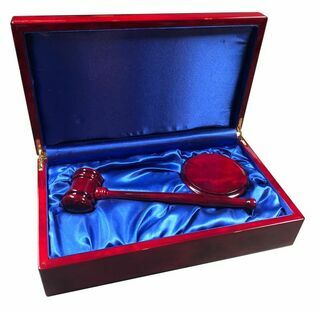 Members are expected to be upstanding citizens that stand up to wrongdoings. 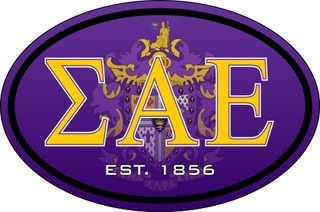 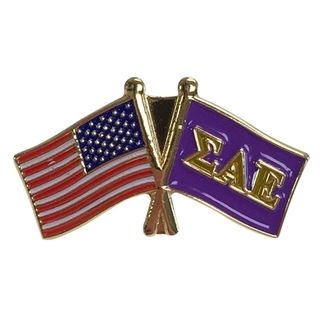 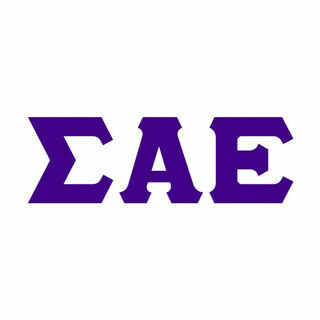 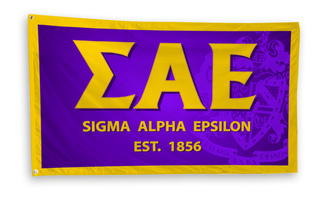 There are roughly 15,000 SAE brothers across 219 active chapters in college campuses across the United States. 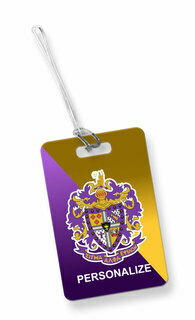 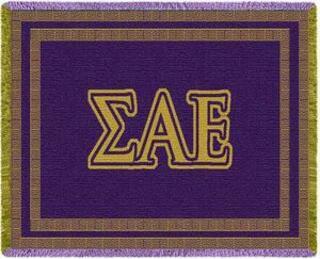 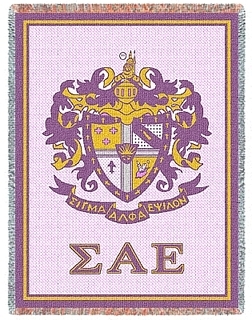 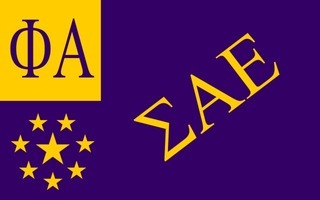 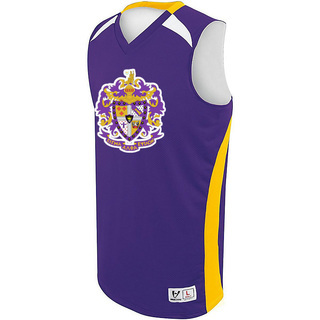 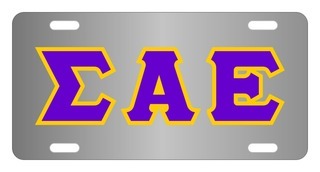 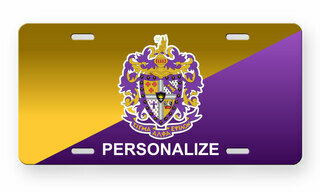 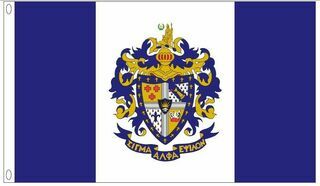 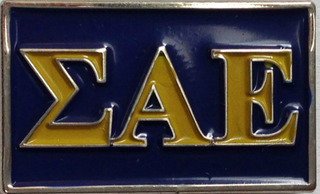 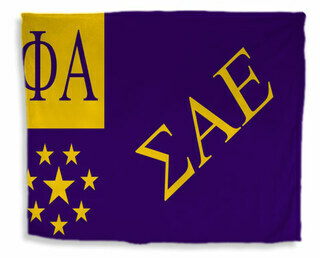 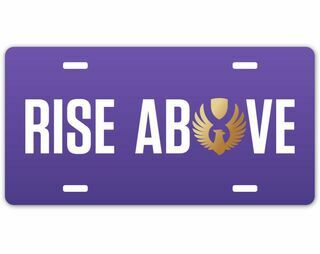 The fraternity's official colors are royal purple and old gold. 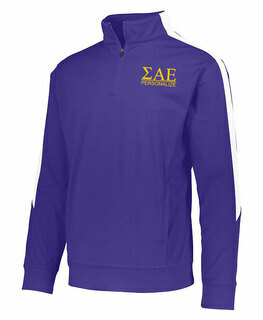 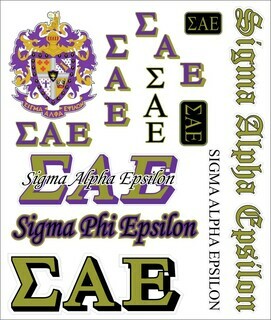 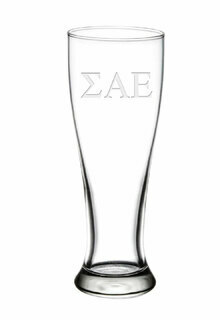 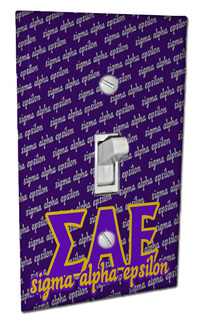 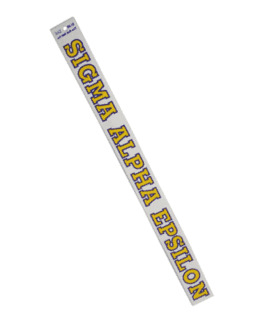 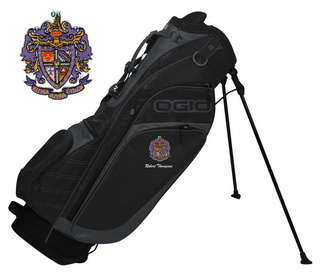 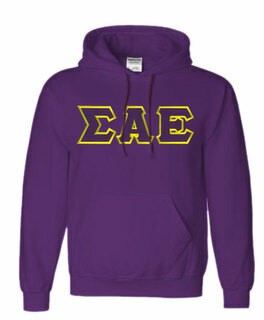 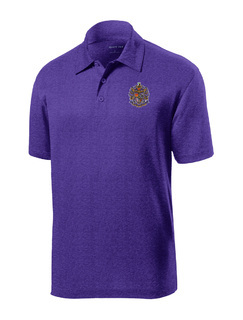 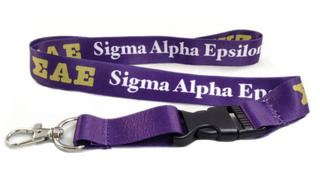 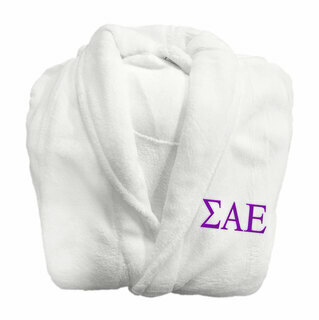 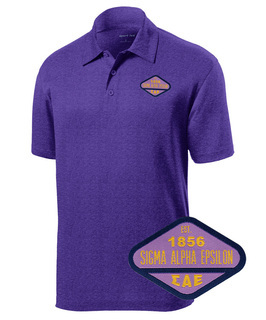 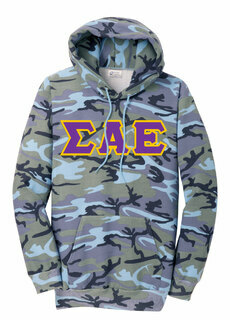 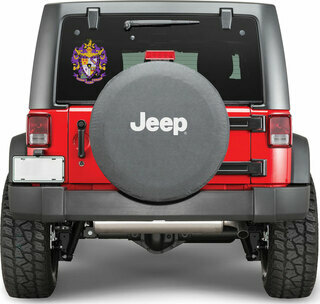 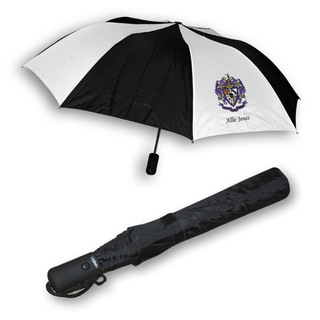 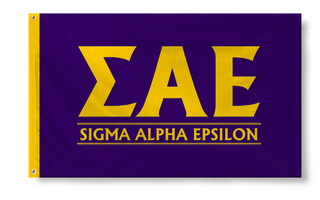 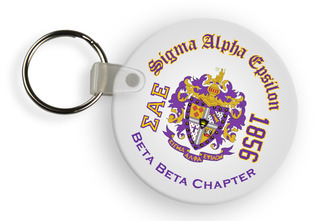 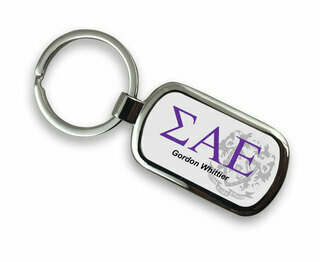 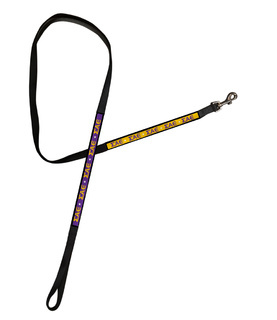 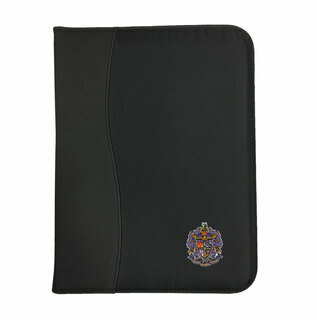 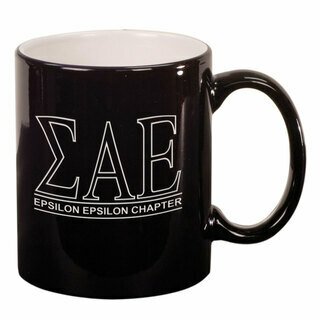 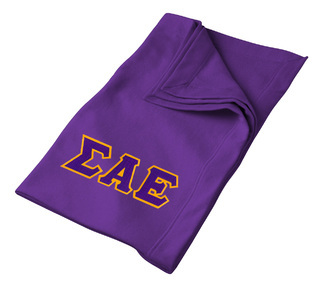 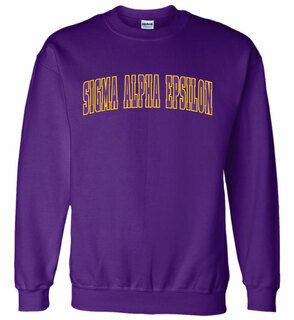 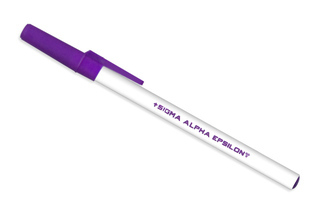 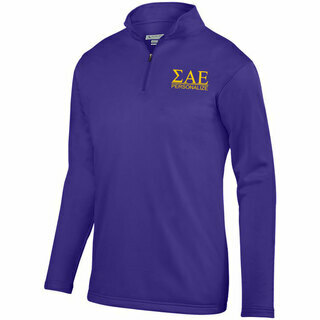 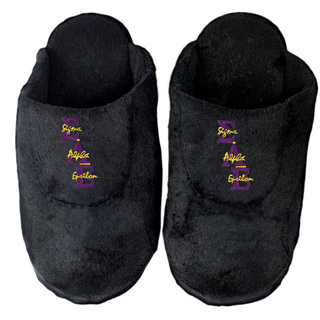 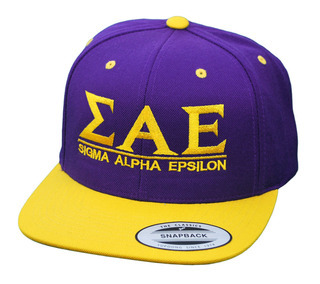 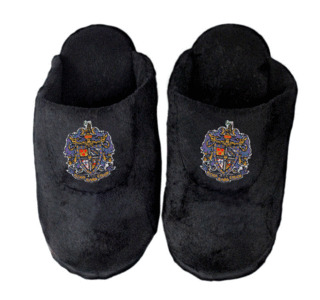 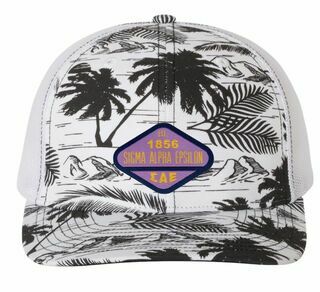 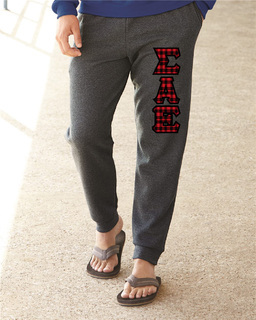 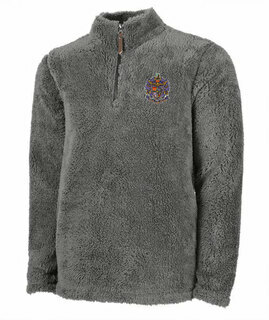 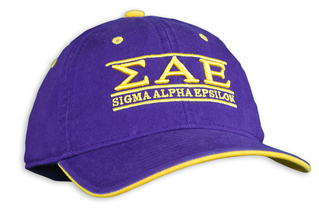 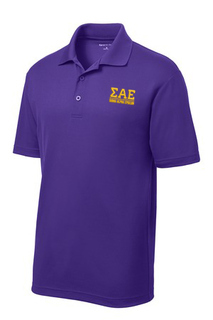 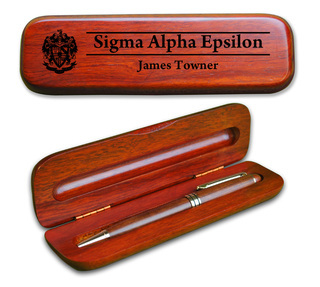 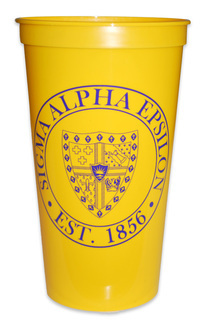 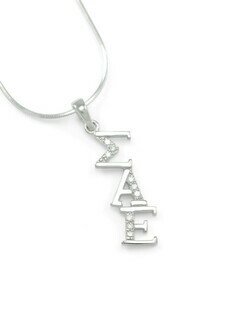 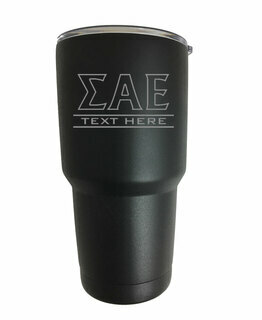 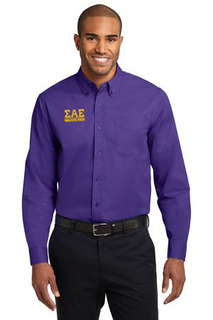 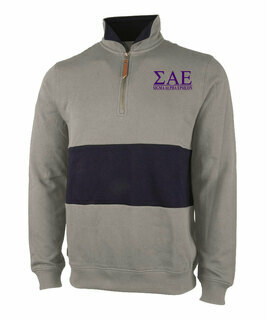 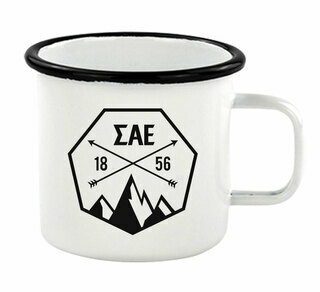 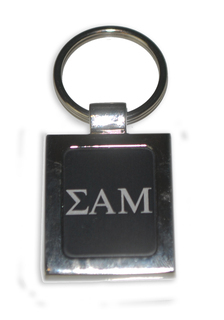 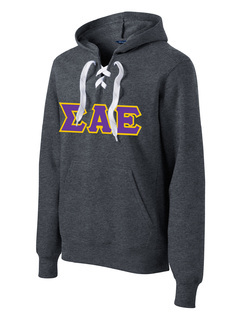 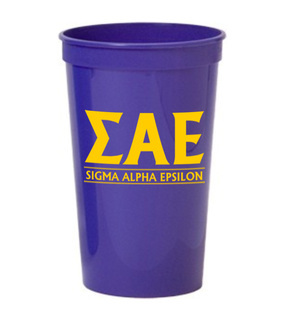 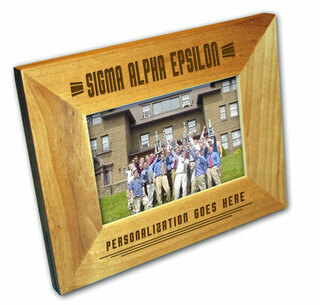 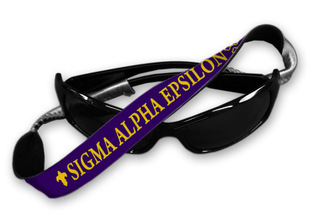 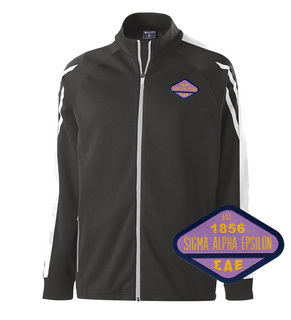 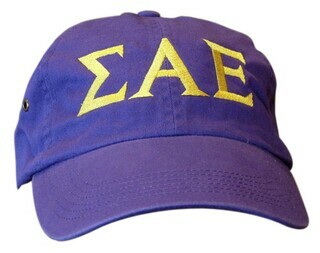 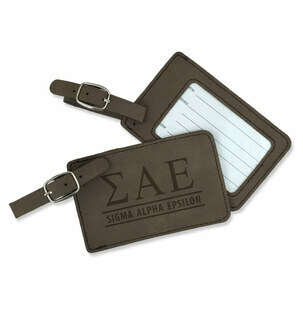 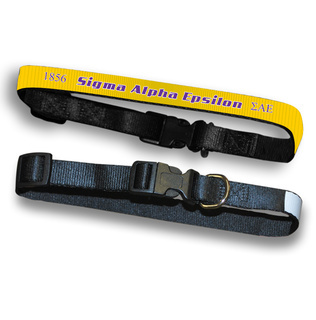 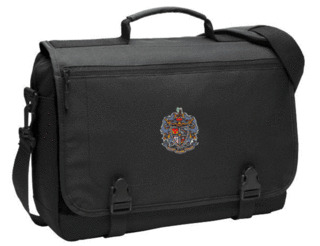 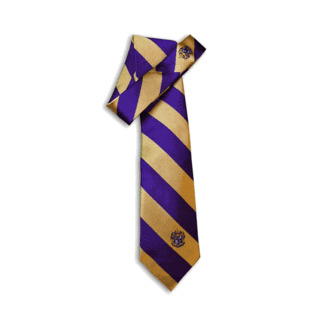 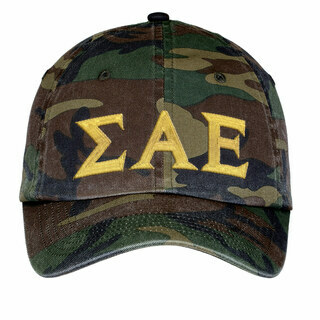 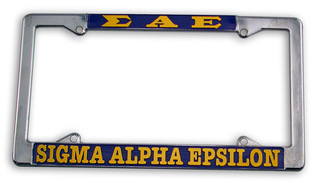 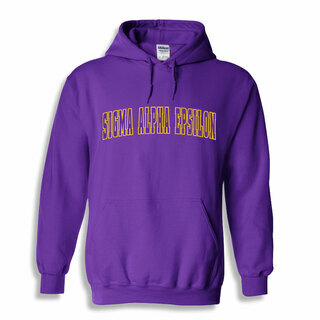 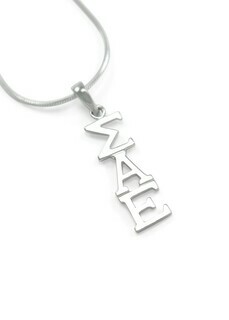 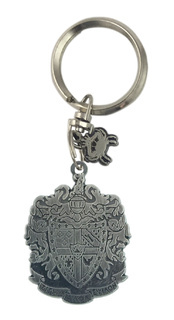 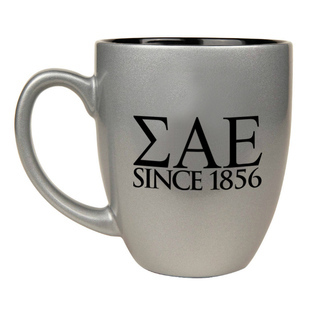 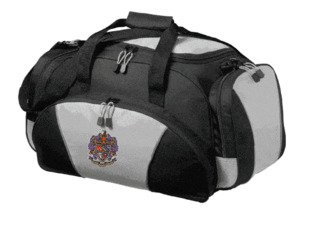 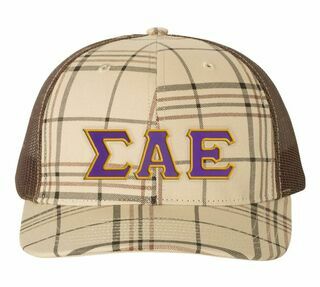 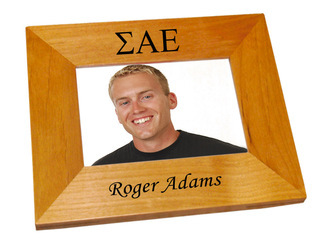 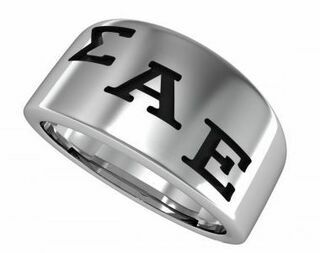 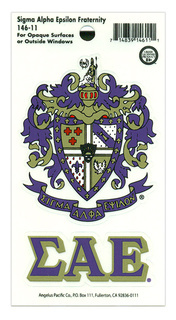 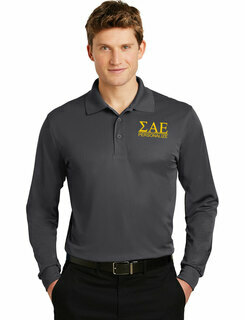 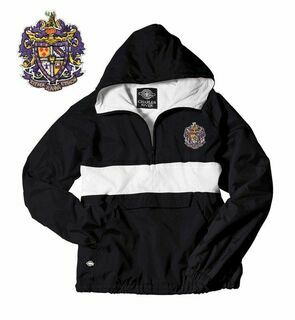 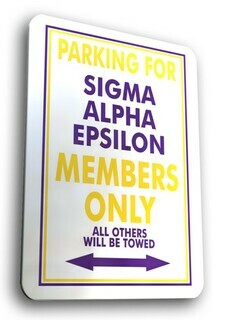 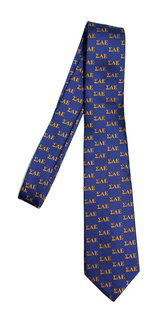 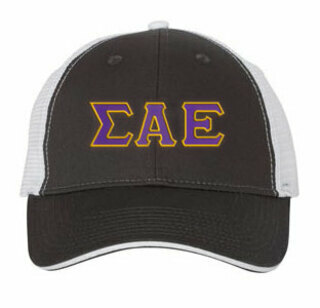 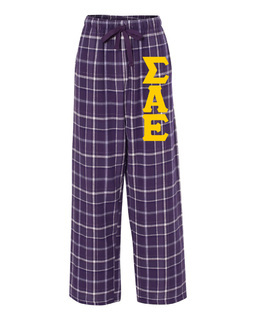 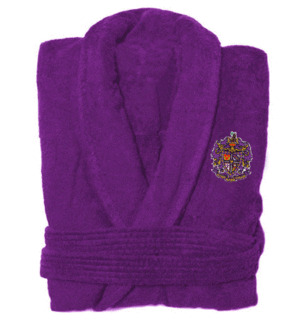 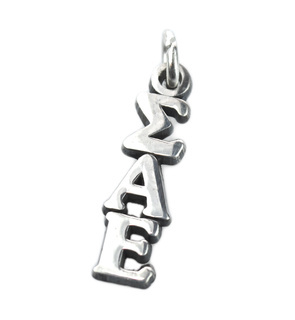 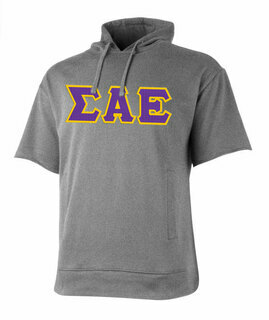 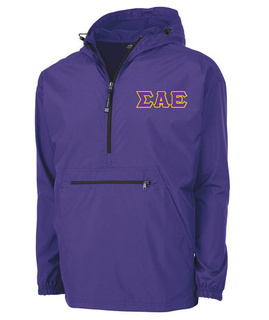 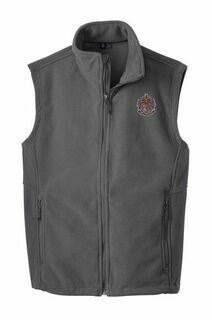 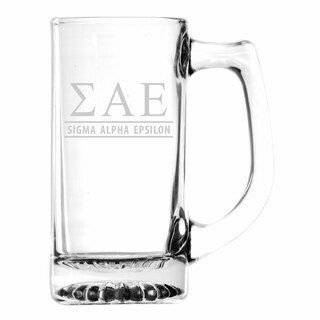 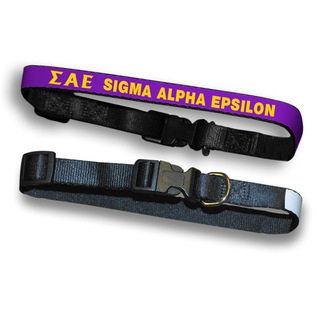 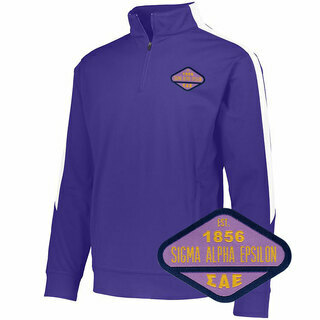 Shop for Sigma Alpha Epsilon swag at Greek Gear. 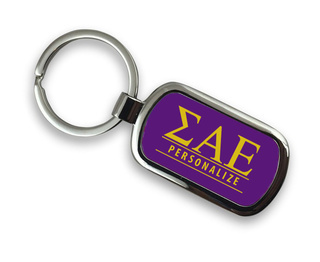 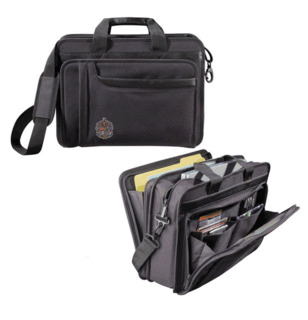 We carry a wide variety of products to choose from, including SAE apparel, keychains, outdoor gear, mugs, office items and more. 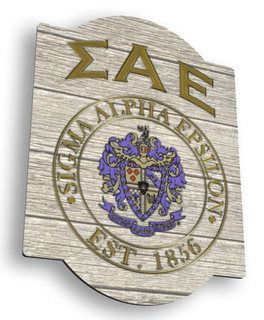 We're the leading Sigma Alpha Epsilon store and are open 24 hours a day, seven days a week to serve the busy brothers of SAE. 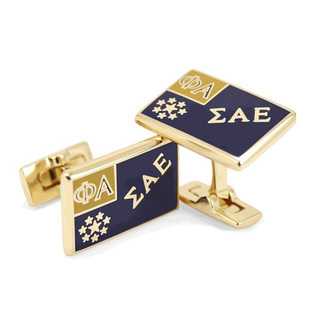 Whether you're looking for gift items for your favorite brother or inexpensive tokens to give away during bid week, you've come to the right place. 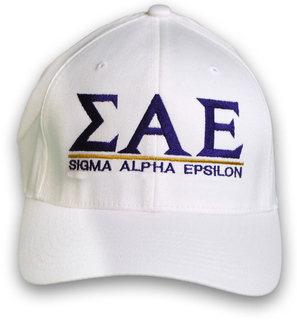 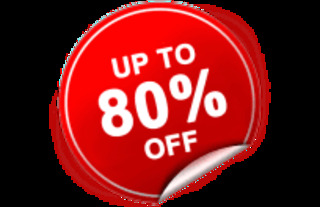 At Greek Gear, we offer a wide selection along with unbeatable prices so you can shop for all your Greek needs without breaking the bank. 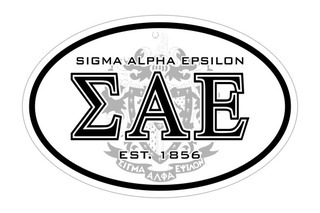 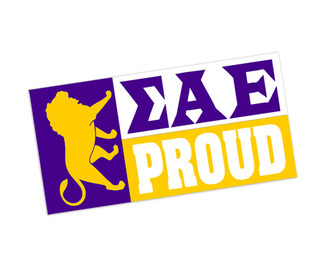 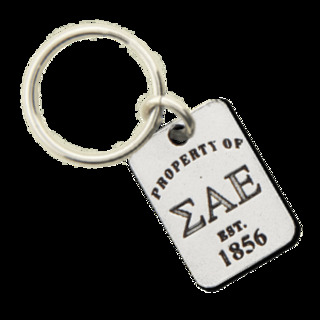 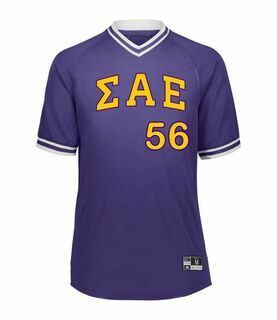 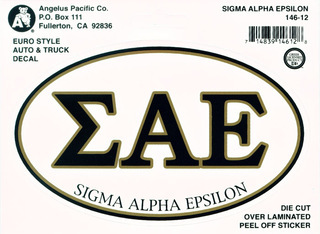 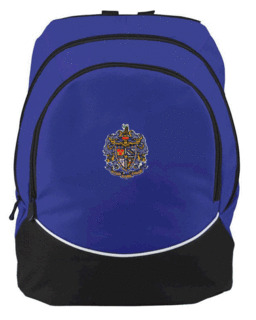 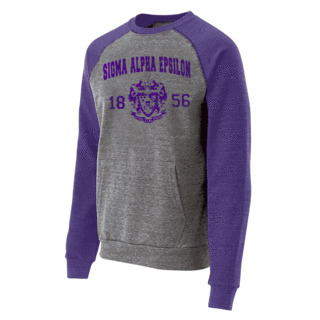 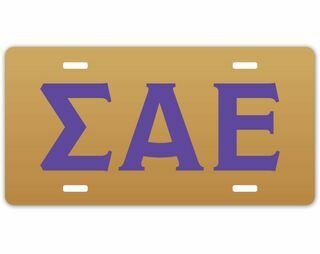 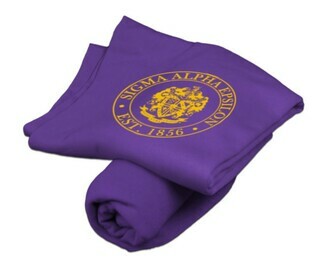 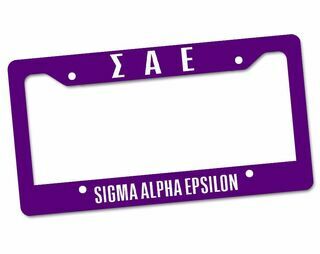 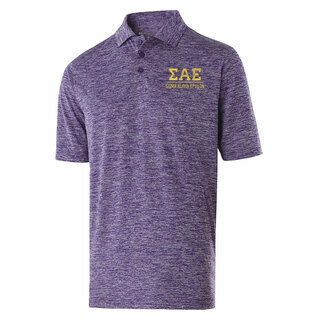 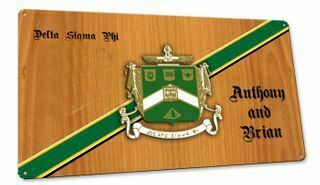 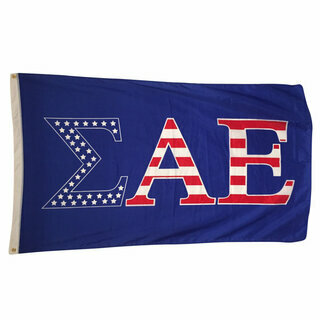 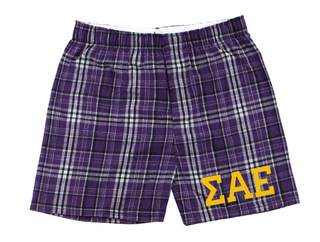 Browse our Sigma Alpha Epsilon selection today to find the high-quality Greek goods you want at a price a college student can afford. 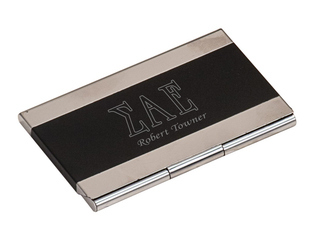 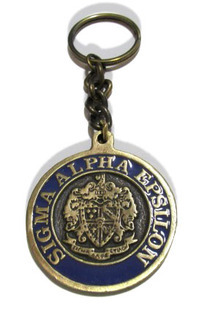 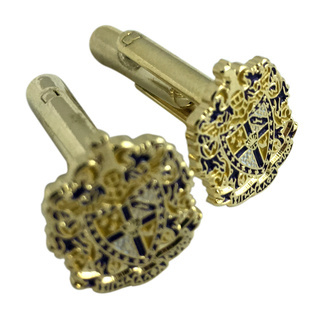 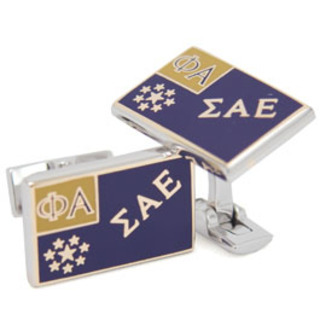 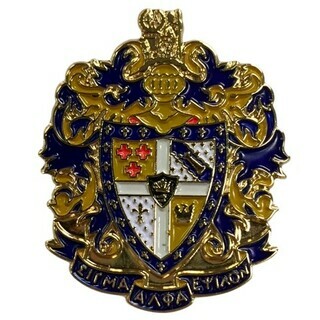 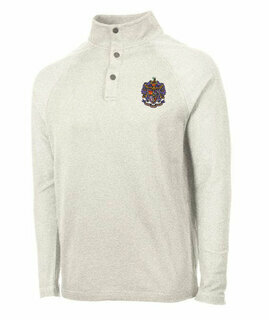 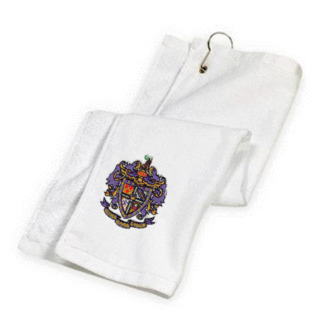 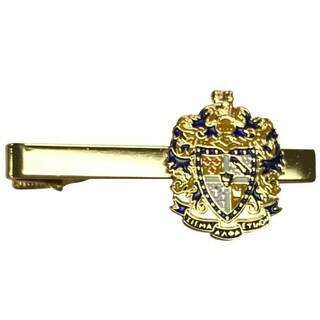 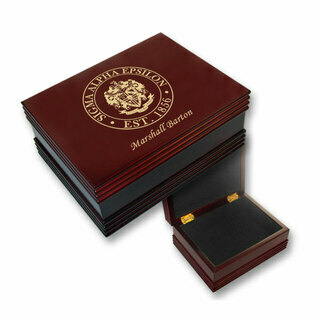 Sigma Alpha Epsilon Color Crest - Shield Cuff links-ON SALE! 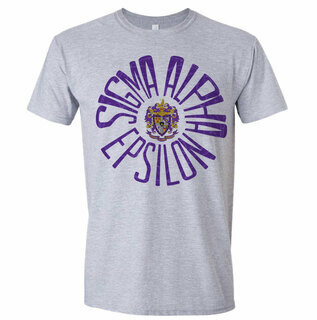 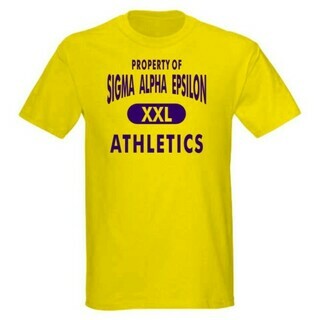 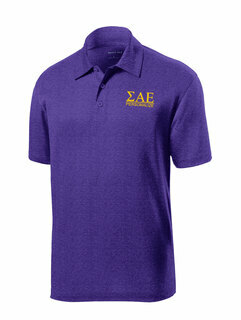 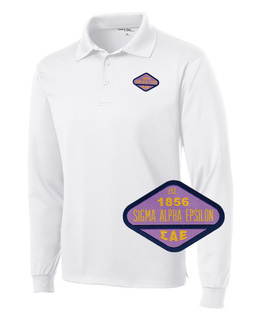 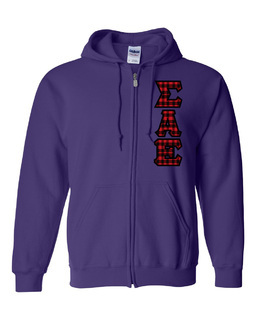 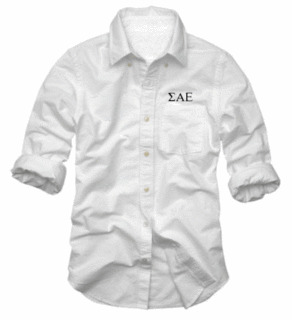 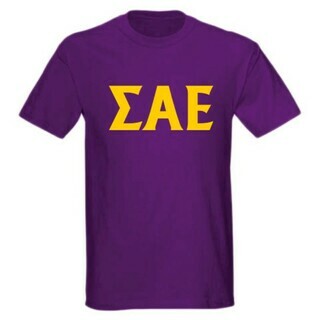 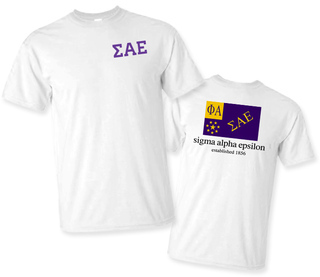 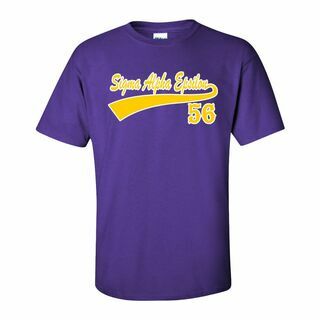 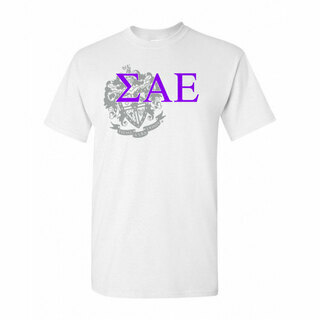 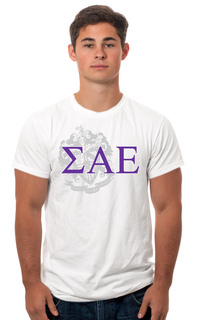 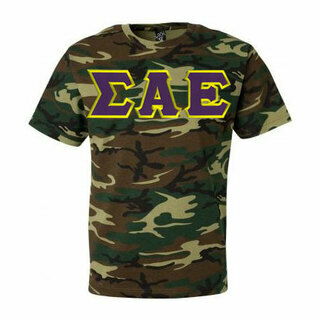 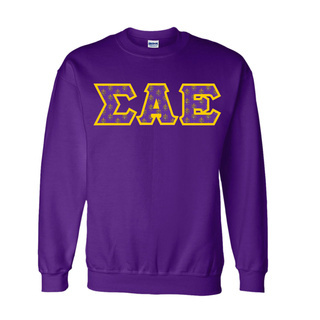 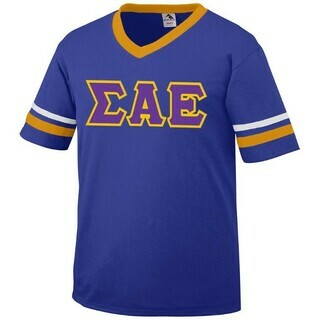 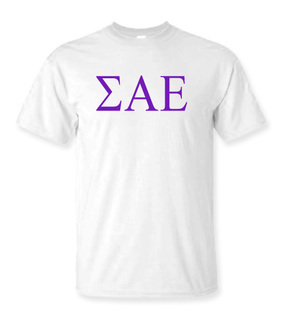 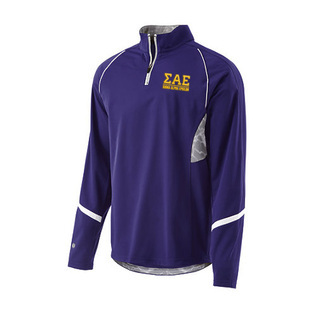 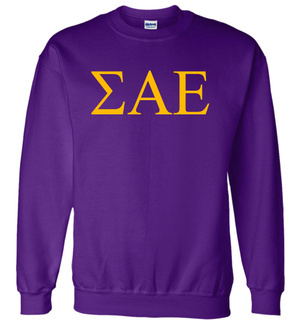 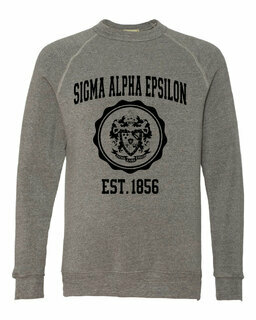 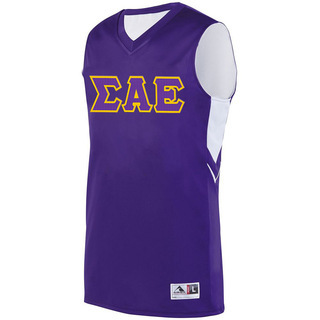 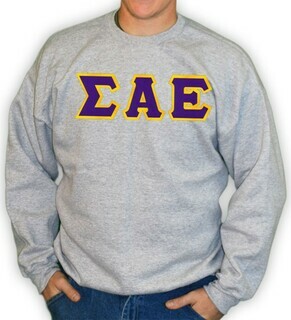 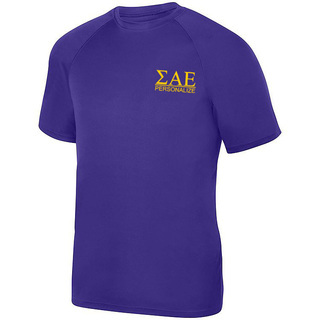 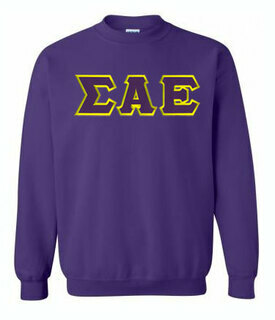 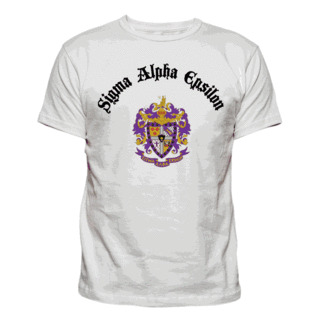 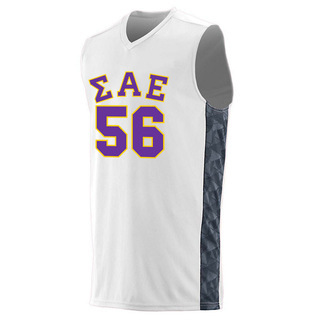 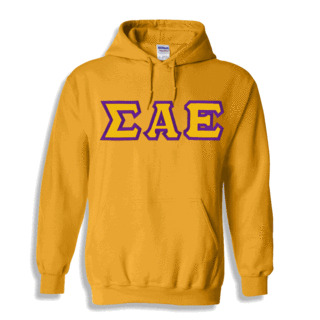 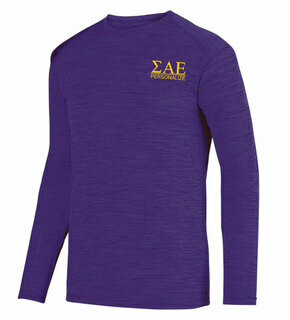 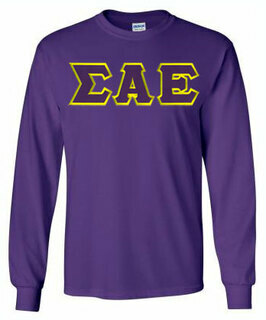 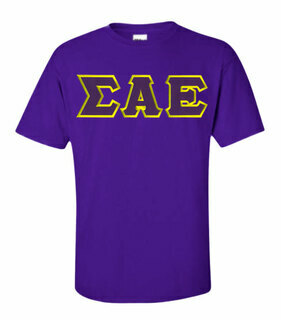 Sigma Alpha Epsilon Lettered Tee - $9.95! 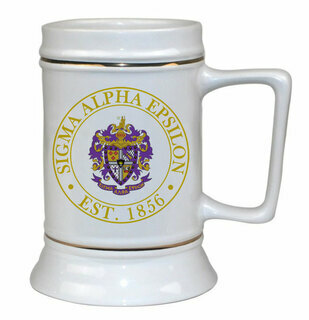 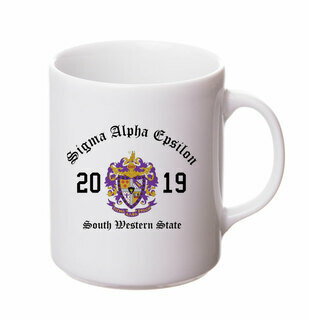 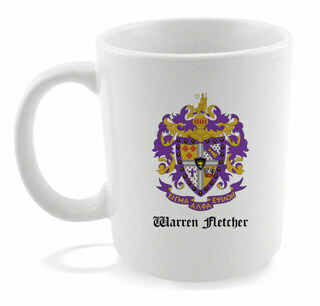 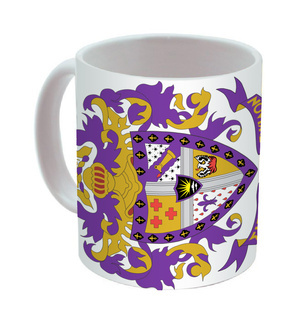 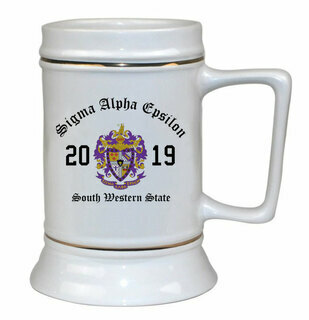 Sigma Alpha Epsilon Ceramic Crest & Year Ceramic Stein Tankard - 28 ozs! 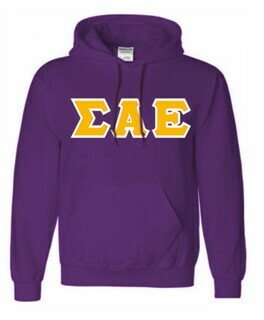 Sigma Alpha Epsilon Heavy Full-Zip Hooded Sweatshirt - 3" Letters! 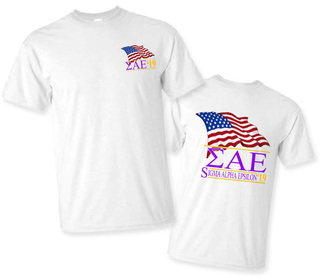 Sigma Alpha Epsilon Patriot Limited Edition Tee- $15!